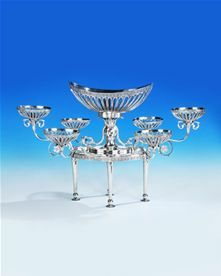 Bourdon Smith Specialists in antique and modern silver from the 16th century to the present day. J.H. 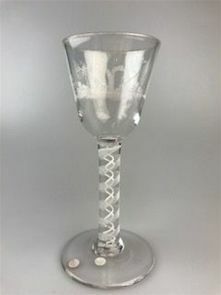 Bourdon-Smith Ltd. are a family firm established by John Bourdon-Smith, whose first purchase of silver was an etui of c1815, for which he paid £4 in 1951. He has progressed from careering round the country on a second hand motorbike to our current premises at 24 Mason's Yard in St. James', London, to where we moved in 1978. The business is now run by John Bourdon-Smith, Edward Bourdon-Smith, Julia Bourdon-Smith (son and daughter). We deal in antique and modern silver from the 16th century to the present day, specialising in early spoons, collectables and good house-furnishing silver from the Georgian to the Edwardian periods with an emphasis on English, Scottish and Irish silver including all the provincial centres of the British Isles. We hold the largest collection of Early English Spoons in the country and can boast of having Tim Kent, F.S.A. as advisor and consultant in this most interesting and important collecting discipline. Whether advising international museums or private collectors across the world in acquiring important objects or assisting first time buyers, we endeavor to provide a comprehensive, professional service. If you are buying or selling silver, our over 100 years of combined experience is available to serve you in whatever way required. We are early members of the British Antique Dealers Association, CINOA and The Silver Society, along with The Spoon Club. We have exhibited at fairs in Australia, the Far East, Europe,Canada and the United States and continue to participate at some of the world's premier antique fairs. This site represents a small selection of our extensive stock from our ground floor gallery and strong room and will be kept updated regularly with new offerings and special acquisitions. Please contact us if you have any special requirements or would like to engage us to help you with your silver acquisitions or disposals. 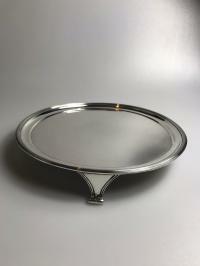 We are always looking to buy silver items of quality and rarity and will be most discreet in any arrangements.